Good. 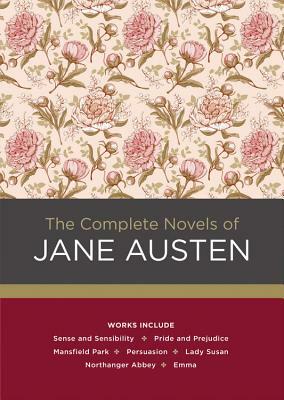 Size: 19 to 25 cm tall, Octavo, (8vo); The complete novels: Sense and Sensibility, Pride and Prejudice, Mansfield Park, Emma, Northanger Abbey and Persuasion 1st class post to the UK, Airmail worldwide. Robust packaging. Jane Austen was one of the few women of her time to write about life in early 19th-century England. She was the second daughter of a country parson, and her numerous brothers introduced her to the worlds of banking, gentlemen farmers, and naval officers. Wordier than today's popular novels, Austen is subtle and sparkling in her incisive illustration of her own social order. I find her characters as amusing as Dickens', but rather more shaded than the army of people he gives us. Though Austen writes about a society whose rules may be unfamiliar to us, her characters' emotions shine through clearly and resonate with our present society. My copy stands in plain view for easy reference, and I have read each of her novels many times. Reading Austen will also boost your vocabulary!